BOSTON (Reuters) - Morgan Stanley, the lead underwriter for Facebook Inc's initial public offering, will pay a $5 million fine to Massachusetts to settle charges that its bankers improperly influenced its research analysts when the Internet company went public. Massachusetts' top securities regulator, William Galvin, charged that Morgan Stanley improperly helped Facebook disclose sensitive financial information selectively, perpetuating what he calls "an unlevel playing field" between Wall Street and Main Street. Morgan Stanley has been under criticism since the social media company went public in May for having revealed revised earnings and revenue forecasts to select clients on conference calls before the media company's $16 billion initial public offering. A Morgan Stanley spokeswoman did not immediately return a call seeking comment. Galvin, who has been aggressive in policing how research is distributed on Wall Street ever since investment banks reached a global settlement in 2003, said the bank violated that settlement. He fined Citigroup $2 million over similar charges in late October. 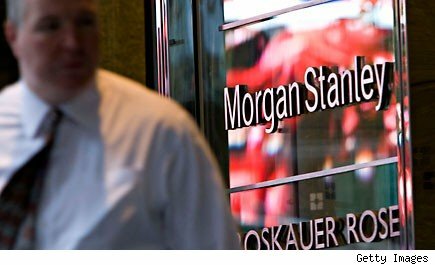 Massachusetts says that a senior Morgan Stanley banker helped a Facebook executive release new information and then guided the executive on how to speak with Wall Street analysts about it. The banker, Galvin's office said, rehearsed with Facebook's Treasurer and wrote the bulk of the script Facebook's Treasurer used when calling the research analysts. The banker "was not allowed to call research analysts himself, so he did everything he could to ensure research analysts received new revenue numbers which they then provided to institutional investors," Galvin said in a statement. Retail investors were not given any similar information, Galvin said, saying this case illustrates how institutional investors often have an edge over retail investors.